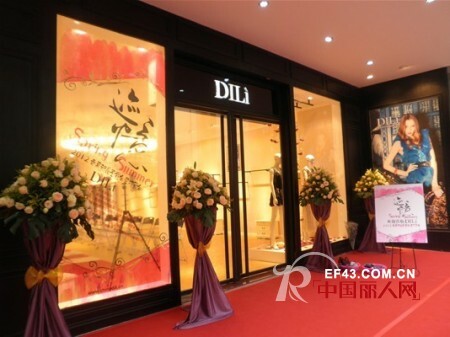 November 8-9, the Spanish women's fashion DILI 2012 spring and summer new appreciation and order will be held in the image of Guangzhou headquarters Hall. Orders will be "trace Â· Yi" as the theme, find a trace in the familiar memory, interpretation of fashion elegance, tasting low-key luxury. In the "trace Â· Memory" to regain the classic fashion, the perfect interpretation of DILI Spanish women's fashion spring and summer 2012 new trend. Every model walking on the red carpet, the flirting behind the costumes can focus on the presence of every guest present, and lead us into the DILI 2012 spring and summer new fashion trends. 2012 DILI spring and summer wear, from the retro fifties and fifties, spanning several decades to the 21st century today, the pursuit of beauty of women to love the spirituality of the eternal as a classic, interpretation of the classic clothing Interpretation of women's long-lasting pursuit of the United States. DILI women's spring and summer of 2012 new products, once again put on the classic story, whether in the fashion design, or with color, or fabric selection, or accessories and so can match the trend of international trends, and adhere to self-style, elegant Style all blooming DILI fashionable women's new style, while the honored guests saw the wonderful charm of DILI brand women's. It all depends on the DILI women's fashion designers to accurately control the trend of the international trend in the quarter of each New Product development early, designers will walk in all countries in the world, a taste of the local trend of style, inspired fashion inspiration, thus creating extremely Trendy DILI women's clothing. 2012 spring and summer new Appreciation Fair and order will be successfully concluded on November 9, through the elegant 2012 spring and summer new clothing, a wonderful and romantic fashion encounter will soon come and then develop. The orders will be three-step way, so that customers first understand the market, and then cognitive products, and finally see the goods orders. Although a small meeting, but fully demonstrated the DILI women's brand of exquisite, professional brand spirit. 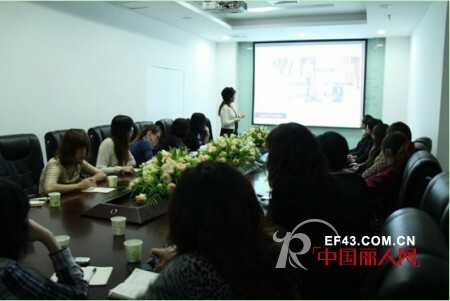 On the morning of November 8, Ms. Guan, the deputy general manager of DILI brand, interpreted and shared the international fashion trends of 2012 spring and summer womenswear. Combined with her personal experience of many overseas trips, Ms. Guan gathered a series of exhibitions including Spain, Italy, Paris, UK , Japan and other fashion capital of the world trend elements, from the popular colors of clothing, fashion fabrics, clothing style cut, clothing with many ways to explain and share with customers, leading customers into a different one Country, understand the exotic, enjoy the trend of exotic fashion.